Finally, a training saddle with serious features! 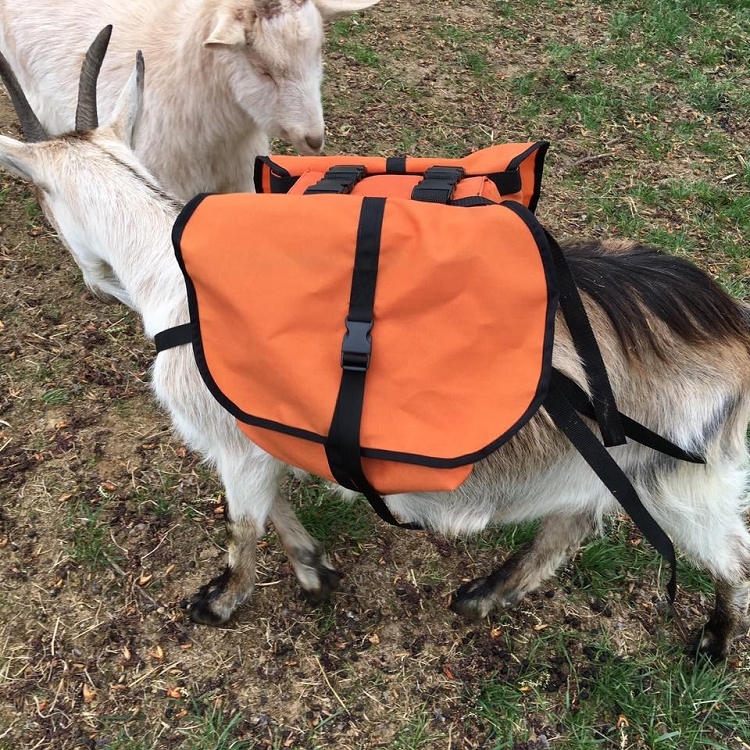 This is a scaled-down, frameless soft saddle, intended for use as a first saddle for 2-3 year old packgoats. Although frameless, our Kid Trainer utilizes uniquely-designed pads, which provide good weight distribution and spinal clearance. The whole unit weighs under 3 pounds. 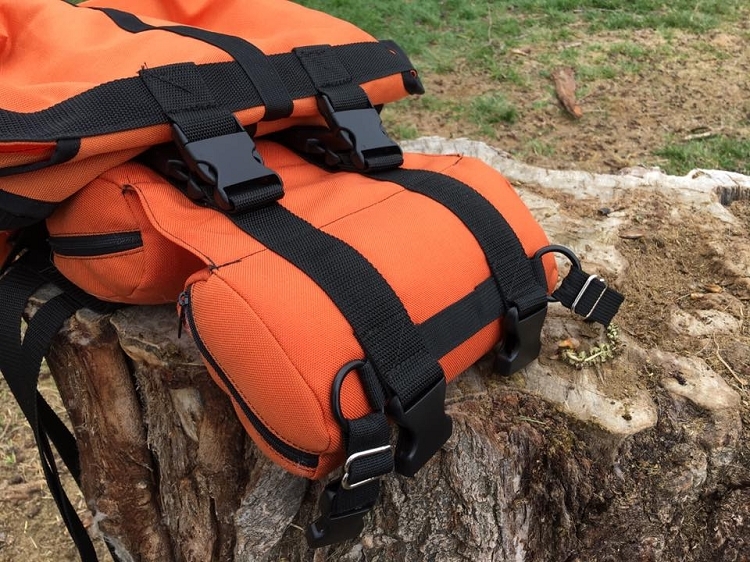 The saddle portion of each unit comes with a 1.5" dual poly webbing cinch, breast strap, and rump strap. Sewn from 1000D cordura. By default, the saddle comes in GRAY cordura, but may occasionally be shipped to match the panniers. The saddle can be fitted to your animal WITHOUT panniers.....very convenient. The removable panniers are 12"x12"x4" each and come with built-in hanging/scale loops for easy balancing. Each pannier has a capacity of approximately 576 cubic inches (1152 total). Panniers have a dual-closure top with a combination of drawstring and buckle-down flap. Panniers can be loaded and balanced OFF of the saddle, and then easily buckle to the saddle once loaded. Made of heavy-duty nylon packcloth (approx. half the weight of standard Cordura). Each order includes the complete saddle, and two panniers. Developed in conjunction with Marc Warnke as part of our Signature Series products.